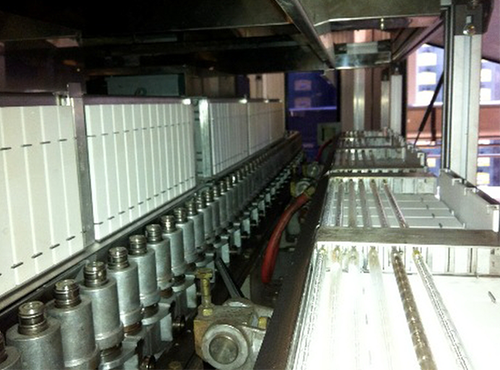 Find out why replacing OEM oven bank modules with new Technoplan ceramic oven modules will reduce your blow molding electricity bill. 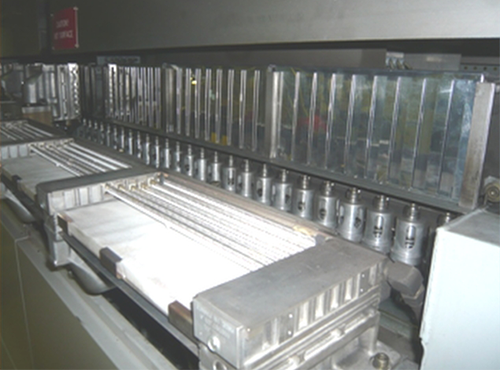 Energy is one of the biggest costs for a blow molding operation. When your Sidel SBO 40 stretch blow molding machines are cranking out 40,000 bottles an hour 24/7, and demand 192kW per hour each, the dollars spent producing infrared heat are astronomical. Every company wants to shave this cost wherever possible. 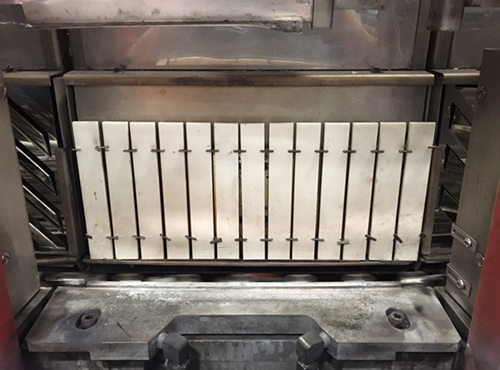 Blow molding ovens produce infrared heat instantaneously to soften plastic PET preforms prior to being introduced to the mold for blowing and shaping into a container. In a perfect and efficient world, the ovens would only produce as much heat as needed for this operation. But in the real world, a great deal of this infrared heat is wasted, lost to the surfaces in the oven and not fully directed at the preform. In fact, it’s not unusual for an oven to consume 230kw to get the job done. However, if that excess infrared heat can be redirected at the preform, significant energy cost savings and infrared heat lamp maintenance savings will follow. Naturally, blow molding machine manufacturers have long considered this fact about ovens. Reflectors in each oven attempt to make use of as much lost infrared heat as possible by redirecting it back at the preform. But as blow molding ovens age and energy efficiency decreases, there is a solution, i.e. better oven bank designs and materials developed to make full use of infrared heating and eliminate energy waste. Unfortunately, many blow molding operations aren’t even aware of the fact that their ovens are grossly inefficient as compared to the potential energy savings now available from new technology such as that offered by the Technoplan TOEO system. Oven Energy Optimization: Technoplan Engineering's Oven Energy Optimization oven banks are specifically designed to reduce oven electricity consumption by 25% to 30% over existing OEM oven banks. 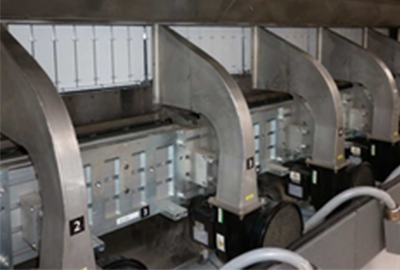 Southeastern Container immediately contracted with Connell to install TOEO oven banks in (2) of their blow molders located in their Winchester, VA plant. Upon confirmation of the order with Technoplan Engineering, a pre-installation inspection was scheduled for a Technoplan technician to inspect and measure each machine’s oven. This was to prepare the oven section for the new TOEO oven banks and to collect actual measurements and dimensions to ensure the TOEO oven banks were exactly and precisely built to specification. The inspection also looked for any misalignments or preexisting damage to the oven section, so it could be repaired prior to delivery of the TOEO units. Once the TOEO units were delivered, the assigned Technoplan technician easily swapped out a total of 36 Sidel oven banks with brand new TOEO oven banks in just 8 hours per machine. That short time span is due to the fact that the TOEO oven banks are designed to easily replace OEM oven banks with a minimum of work or retrofit needed – essentially plug and play. Along with the previous installation of Technoplan’s Air Recovery System (ARS) to recycle and reuse the blow molder’s compressed air to reduce the load on the plant air compressors, Southeastern Container’s blow molding plant is now realizing the optimum in energy efficiency by completely upgrading their blow molding machines with the latest energy-saving technologies.